NO MINIMUM, NO RESERVE!!! LIVE AUCTION WITH ONLINE BIDDING! 4.89 +/- ACRES IN EAGLES LANDING BEING OFFERED SEPARATE & TOGETHER IN 5 PARCELS! 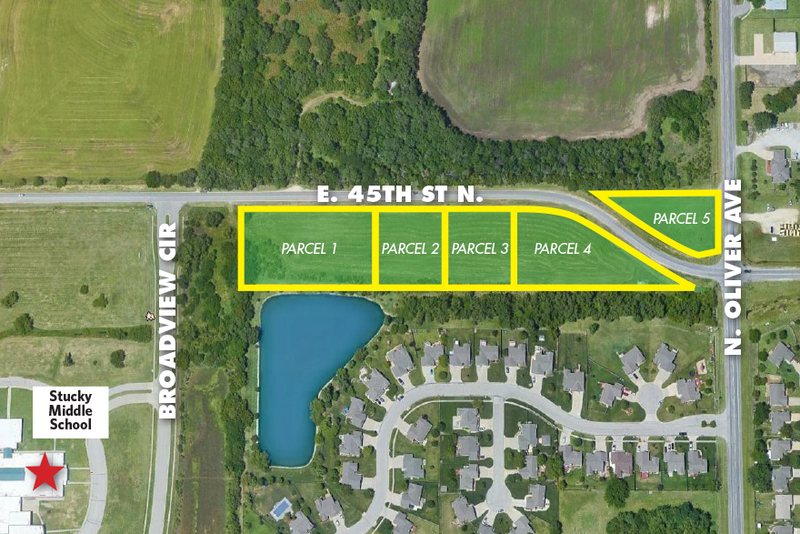 These 5 commercial parcels are in a fantastic location near the corner of 45th and Oliver. McCurdy will be offering live streaming during this auction where you will be able to watch, listen, and bid online. Download the app on your phone now, search for "McCurdy Auction" in the app store. E. 45th St. N. & Oliver, west to parcels.